It is believed that Honourable Aniekan Bassey, a member representing Uruan State Constituency Is a rare gem that is celebrated across the State and beyond for his visionary leadership, he is sensitive to the plight of his constituents as he is open and always available. He motivates and inspires with commitment to their needs. He develops and trains his constituents for responsibilities and encourages entrepreneurial tendencies. Whether you Hate or love him, he is a reformer whose track record of reform and transformation has always fed the intellectual conceit of researchers, the social curiosity of his admirers and exercised the fiscal imagination of his critics. With his ability and capacity to rise above adversity never in doubt, has tried his best in Akwa Ibom State house of Assembly. He hates mediocrity but he is contagiously fascinated with creativity, and futuristically innovative with reformative ingenuity that drive development, Aniekan Bassey, a man famous for political sagacity and intellectual elasticity when sworn in as member representing Uruan State constituency promised to change the story of Uruan politics from its inglorious situation to a glorious future that Uruan people is experiencing today. He is a man which both admirers and critics submit to his being an achiever with intellectual tenacity and a robust predisposition for constructive political engagement and dialogue, he is a man who has the potential to change the economic fortunes of his people. Hon Bassey's reformative agenda and repositioning vision for Uruan people is second to non, he is armed with experience and exposure that gives him a clear idea about what he is doing as an outspoken member of the Assembly, he is confidence for the job and as such deserves a second term. Hon. Aniekan Bassey is a man who is never afraid to say his mind by saying his mind, This is a man who has a clear idea of what he wants and believes others should come around to the logic of his convictions. Hon Aniekan doesn't give publicity to his love for Uruan people and he believes so much in the biblical injunction that let your left hand not know what your left hand is doing. To this end, most of the things he has done has gone unnoticed. He has assisted some of his constituents by purchasing cars and motorcycles for them. Currently he has more than 10 Uruan students on his full tuition fee programme in various higher institutions. He has provided 30 wrappers to widows across Uruan Nation; has 15 Uruan Youths on Monthly payroll, facilitated the employment of 18 Uruan indigenes at Seven Energy, an Oil Servicing Firm in the state, provided succour to the victims of Adadia Beach market attack by dare devil robbers in 2015 by offsetting their hospital bills with five of them having gun-shot wounds. But Permit me to tell you about some of his achievements, Hon Aniekan Bassey has a realizable vision anchored on foresightedness, dogged determination to succeed and practical but simple steps towards its realization. It is his vision and desire to see Uruan transform into a hub of economic activities that will attract foreign investment to benefit not only the state but Nigeria in general. These days core politicians strive to assume political position for the sake of power but to Aniekan Bassey, the essence of being elected into political position is to have access to a platform for creating an enabling environment that will have an enduring impact on the people. To him, it is easy do charity works by giving people daily stipends but he was more concerned in the holistic evaluation of the potentials of the area. The discoveries made shows that Uruan has great potentials that were lost either because they were not harnessed or that they were sacrificed on the altar of politics. The outcome of the discoveries formed the nucleus of Aniekan’s blue print for the development of Uruan by providing the people with the wherewithal to fend for themselves and be employers of labour. At the last count, Hon. Aniekan Bassey has trained more than 1000 youths in Jamb CBT and computer studies out of which 60 of them received free Jamb forms. He also organized Jamb classes for the jamb students and transported them to their respective exam venues. For the first time, Uruan students recorded 90% pass in JAMB. Also, in conjunction with National Directorate of employment, we have trained more than 60 Uruan persons in phone repairs, hair dressing, fashion design, beads and hat making, computer studies and paint manufacturing. Two youths from Uruan were sponsored to Turkey to further their football career and the third person by name Prince from Nna Enin is currently in Togo. They are Godwin Okon Edet from Ekpene Ukim and George Effiong Asuquo from Ikot Udo all in Uruan. Fifty Uruan women have been given grants to start a business of their own. He also contributed significantly in the award of contract for building of the Ishiet Fish Market (Urua Esuk Ishiet) and the surrounding roads. Since Health is Wealth, he decided to carry out free medical exercise as part of my campaign promises, constituency project and to contribute his quota to the medical wellbeing of my people. More than 5000 Uruan people benefitted from the free medical exercise. The programme dispensed 662 lenses; more than 300 dental surgery and treatment took place. There were 73 general surgeries (Hernia, Lipoma, Ganglion Excision, Hydrocelectomy, etc). Others had diabetic, HIV/AIDS and hypertension screening and treatment. Hon Aniekan only recently donated a set of complete computer and printer to the Uruan Chapter of the PDP to ease their operations. Whenever there is conflict in any part of Uruan, Hon Aniekan is always the first to arrive the scene all in a bid to ensure peace. He also provides relief materials to warring factions to cushion any effect. Other of Hon. 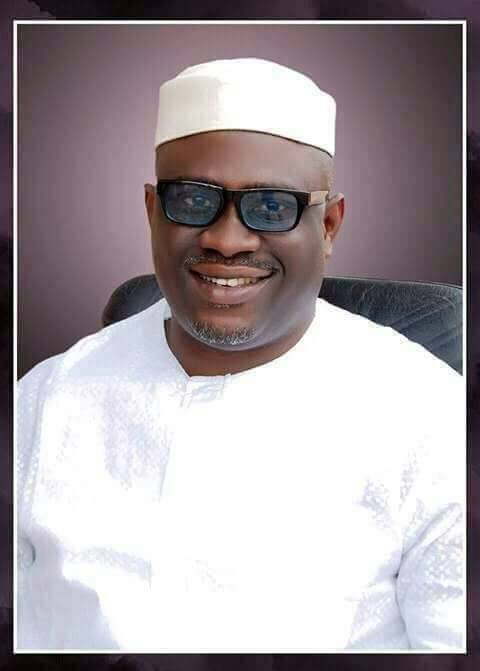 Aniekan’s achievements include renovation of Town Hall at Ekim Enen, renovation of Town Hall at Use Uruan, installation of 300KVA Electricity Transformer at Ikot Inyang Esuk Central 3, Installation of Electricity Transformer at Afaha Ikot Issiet, South 2, Renovation of 4 Classroom Blocks at Ikpa Uruan North 1. He facilitated the upgrading of Nung Ikono Ufok Village Market; construction of 6 Classroom Blocks at Akan Obio Uruan, Provided relief materials and cash to two warring communities (Anakpa and Nna Enin) to help resettle them, Providing Fishing Canoes and Nets to Ime Alhadji from Nna Enin and Effiong Nnah from Nung Oku, Supported Linus, a poultry farmer from Akpa Utong with 100 birds to boost his business. His outing both in and out of the House has not been disappointing. His contributions on the floor of the House and at Plenary sessions has been insightful and robust and shows that he is ready to speak for the good people of Uruan Inyang Atakpo. As part of his legislative engagements, Hon. Bassey led House Committee on Works and Transport to erosion sites at Ndon Ebom, Mbiakong Bridge, Ibiaku Uruan, Issiet Road and Beach Market. This visit facilitated the award of contracts to fix erosion sites and construct beach market road. He sponsored a Bill for a law to provide for regulations of rents for premises, recovery of premises and for matters connected therewith. This was the very first bill to be received on the floor of the 6th Assembly in 2015. He has co-sponsored several bills such as – Bill to protect the Physically Challenged Persons against all forms of Discrimination, Bill to establish Constituency Projects Development Fund, Bill to establish Building and civil engineering construction Materials Quality and Control Centre, Bill to establish Akwa Ibom State Utility Infrastructure Management and Compliance Agency, Bill to establish Akwa Ibom State Social Housing Scheme, Bill to establish Akwa Ibom State Youth Development Fund. He presented a matter of urgent public importance on the murder of Daniel Bassey Solomon from Ifiayong Usuk on the floor of the House whose case is being vigorously pursued in court. He also presented another motion on the need for Akwa Ibom State Government's Involvement in Agricultural Value Chain to Ensure Sustainable Food Security and improve Foreign Earning and a motion for the need to curb the invasion/annexation of Uruan LGA by marauding militants from Cross River state. As Chairman House Services Committee, he facilitated the renovation of the Assembly Chapel, VIP Lounge, Conference Hall and the General Reception. He also brought innovation into the cleaning services of the Assembly. This has ensured general maintenance culture and cleanliness of the Assembly Complex. With all these in place, it beats my imagination why people from Uruan would say Hon. 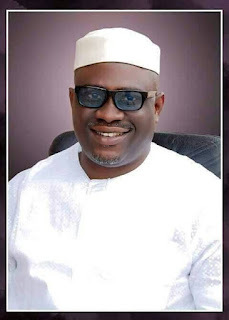 Aniekan has not performed as a Lawmaker. I can only conclude that these persons are averse to development, are paid to tarnish the image of the lawmaker or are part of those whose stock in trade includes the pull-him-down-syndrome, blackmail and character assassination, etc. The funniest thing is that these are the same people who have one way or the other benefited from Hon. Aniekan’s benevolence but are greedy. For me, what Aniekan Bassey has done is to provide the greatest good for the greatest number of people rather than empower only a select few. Those who feel they only should be the ones to benefit rather than the entire Uruan people have become willing tools in the hands of greedy politicians to write all sorts of things against a leader who has done much for his people. We are often told that silence is golden and that is what Aniekan Bassey has done; by keeping quiet and instead concentrating in solving the myriads of challenges facing Uruan. He promised a long lasting effect of good governance, dynamic representation and greater good for the greater number of his constituents via skills acquisition and entrepreneurial development, commercialization, road construction, attraction of government presence, education, healthcare delivery and other democratic dividends. That is exactly what he is doing at the moment. He is a man of moral purity, peaceable, gentle, open to reason, full of mercy and good fruits, impartial and sincere, willing to be patient, and willing to go the extra mile. He has a discerning mind to grasp instantly the array of issues as they emerge with unrelenting rapidity and has a measure of intelligence and wisdom to handle the myriad of demands from his constituents. In no distance time he is giving out as part of empowerment program to his constituents, 15 Motorcycles, 11 cars, 11 Mini buses, 12 sewing machines, 12 clippers and 12 Generating set, 11 wheel chairs for persons with disability and grants to more than 200 persons. His philanthropic gestures reverberates the ends of the earth and in most cases are without public notice. Here is a man with all the trappings of success and affluence, yet he chooses to live an unassuming life; exemplary life, life of sacrifice and philanthropy. He is yet to build his own house but has chosen to empower his people and make them better. He knows without being told that only a life lived to serve the needs of others is a life well lived. He follows the steps of our Lord Jesus Christ who said, “He who wants to be great should first be a servant” Hon. Aniekan wants it said of him by those who knew him best that he always plucked a thistle (unwanted plant) and planted a flower where he thought a flower would grow. My view of Hon. Aniekan is one who cares for the hungry, the naked, the homeless, the crippled, the blind, and all those people who feel unwanted, unloved, uncared for throughout society, people that have become a burden to the society and are shunned by everyone. He has a way of reaching out to them. The Aniekan Bassey I know has a mission in life; that is to provide lifeline to the suffering and the poor, and to help them tackle the challenges they face by providing assistance and capacity building. 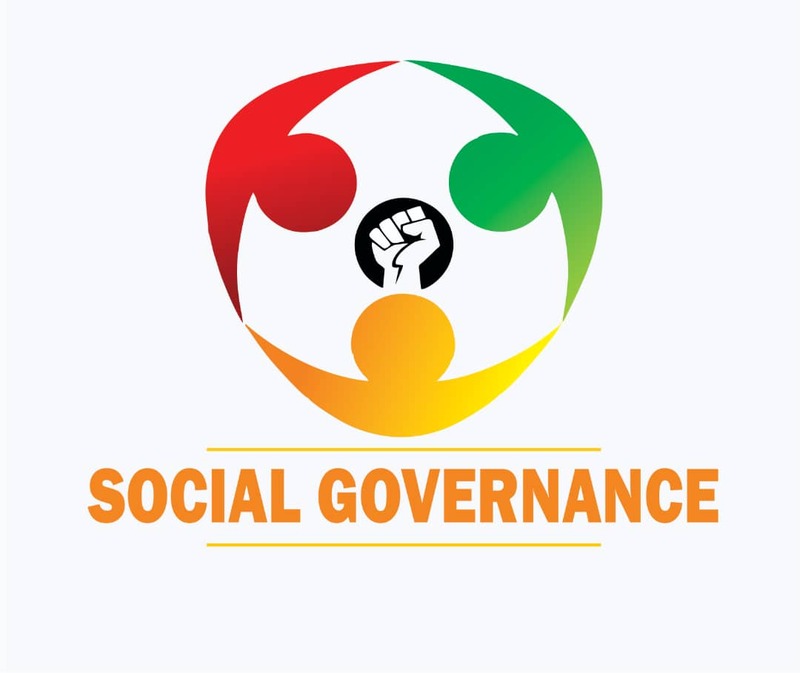 He wants to empower the next generation to be well-prepared to face the challenges ahead and to pave the way for a better future through provision of employment, training and skills as well as network and capacity building. He deserves a second term in the Assembly so let's support him. Etim Homage, a writer on contemporary Issues writing from Ekpene Ukim, Uruan LGA.